How to measure the color of glossy dark samples? Yes, they arrived: cheap affordable ways to measure color! What is wrong with automotive color data? At least 12 Color Metamerism types! 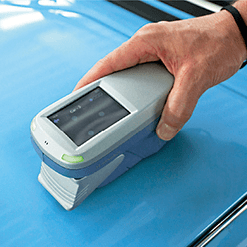 New developments in color measurement in the car refinish body shops: Paint companies Axalta, PPG and AkzoNobel push each other into new color measurement innovations. In 2015 AkzoNobel introduced the Automatchic Vision and last week PPG announced the Rapid Match XI spectrophotometer while Axalta recently introduced the Acquire Quantum EFX. All these instruments are very advanced and come with remarkable technological differences. 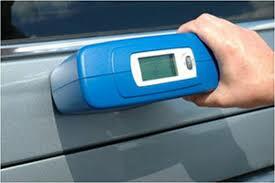 Color measurement is a must have feature these days for automotive repair. 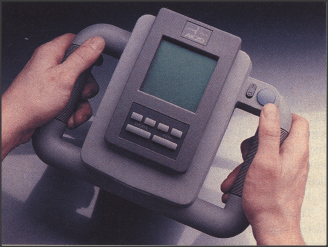 In1994 AkzoNobel introduced color measurement for the body shop with the Gretag Macbeth Color Checker. An instrument that measured with three different angles/geometries. 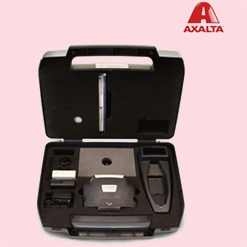 Around 2005 Axalta introduced the Acquire color measuring equipment (BYK-Gardner manufacturer) also measuring with three but slightly different angles. AkzoNobel introduced the Automatchic 3 around 2006 which was basically the same instrument as the Axalta Acquire but again with slightly different geometries. It took almost 10 years before AkzoNobel introduced another more advanced spectrophotometer the Automatchic Vision. A very precise very easy to use instrument, again working on three angles/geometries. 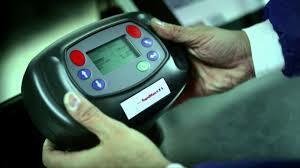 Recently Axalta and PPG responded with even more advanced instruments. PPG announced the RapidMatch XI that measures under 11 angles and 5 texture angles. The instrument seems to be derived from the XRite MA98. It is not clear to us what PPG means by 5 texture angles i.e. is there a real CCD camera included or not. Probably PPG uses the five texture angle information in combination with their software to view digital images on screen. These 5 texture angles are a question as well. Probably XRite is the manufacturer of this instrument and they use out of plane angles for texture detection. Axalta in turn announced the Acquire Quantum EFX, a three angle instrument with CCD camera to detect texture. A clear derivative of the laboratory instrument made by BYK-Gardner the BYK-mac/i. 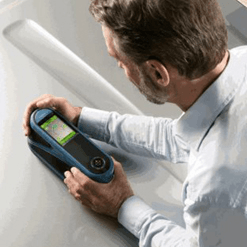 The first body shop color measurement instrument that includes a camera to detect sparkle. Are all these specifications dazzling you: please realize that the success of finding the right color formula to repair a car strongly depends on all links in the color selection chain like all the inaccuracies in spraying, weighing, color data and mixing. Another issue is the price of the instruments. We think the instrument from AkzoNobel is the cheapest (but certainly not the least) followed by the Axalta instrument. The PPG instrument is probably the most expensive. Taking into account that these companies have at least 25000 potential body shop customers we can conclude that tens of millions of dollars are involved. The companies hope to balance this against lower costs for color documentation. If you want more information and insights about this subject please contact us on info@coltechcon.com.